I do what I want on every device I own. Whether you want to keep your PC free from viruses, or keep your children safe online, McAfee security has you covered. 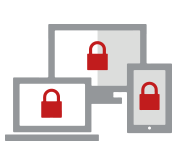 McAfee offer the most simple and effective solutions to keep your data and identity protected across your whole range of connected devices. The exclusive, award-winning range at Currys PC World not only focuses on your PC, but your entire digital life across a host of platforms. McAfee Internet Security and Total Protection protect your laptops, desktops, Android and iOS smartphones and tablets. Plus, LiveSafe Premium offers added protection for Android and iOS devices that you won’t find anywhere else. 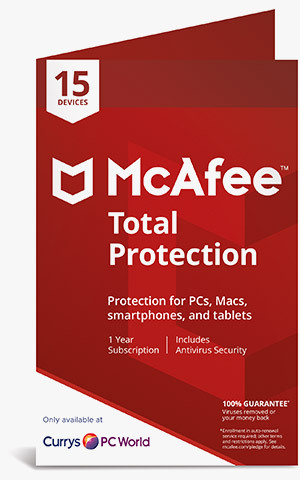 McAfee Total Protection provides premium antivirus, identity and privacy protection for your PCs, Macs, smartphones, and tablets†, all in one subscription. File Lock keeps your personal files private by storing them on your PC with a combination of password protection and encryption. Parental Controls blocks websites and search results you don’t want your kids to see. You can also set limits for how much time they spend online. 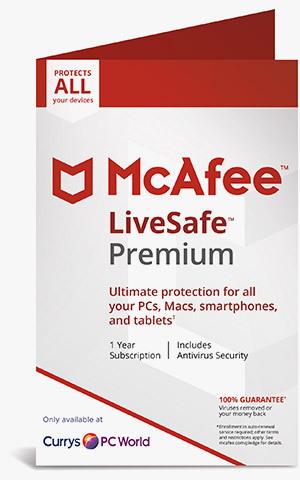 McAfee® LiveSafe™ Premium service provides ultimate antivirus, identity, and privacy protection for all your PCs, Macs, smartphones, and tablets. 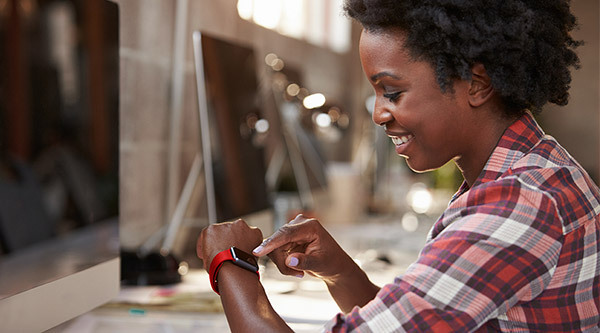 Safe Wi-Fi alerts and protects your iPhone and Android™ phones when you connect to a public network. McAfee SafeFamily block web sites and search results you don’t want your kids to see. You can also set limits for how much time they spend online. Protect all of your devices with just one subscription. Cover an unlimited number of your devices so you can protect all the PCs, Macs, smartphones, and tablets you own. 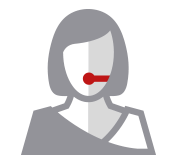 Ts and Cs: Virus Protection Pledge (VPP): To be eligible for VPP, you must be actively enrolled in our auto-renewal service with a qualifying product installed. If we cannot remove a virus from a device we support (see VPP System Requirements), we’ll refund—for the current term of your subscription—the actual amount you paid for the qualifying product, or the value of the qualifying product if it was included in a bundle (see terms of service for details), less any discounts, rebates, refunds, shipping, handling or taxes. The refund does not apply to any damage or loss caused by a virus—we strongly recommend that you always backup your data to prevent data loss. Refer to our terms of service for details: mcafee.com/pledge. Malicious software or code specifically designed to exploit a computer or mobile device for the data it contains. A type of malware that infects a device in order to encrypt its data, locking it so that it can only be freed if the owner of the device pays the cybercriminal a ransom. Software that allows hackers to obtain secret information about a victim's computer by stealing data covertly from their hard drive. Need help? We’re here for you, whether it be by phone, chat or online, let’s talk. Our acclaimed antivirus is the ultimate gatekeeper for your data-- blocking malware, ransomware, spyware and more on your computer. Remembering all your passwords can be challenging, eliminate the hassle with the multi-factor password manager app. Anything that connects to the internet can connect with threats. Protect all your connected PCs, Macs and smartphones with one subscription. Block websites and search results, and keep your kids safe online with parental controls.